hile perhaps not as fun to shop for as new scrubs, nursing supplies are incredibly important to taking care of patients on a day-to-day basis. 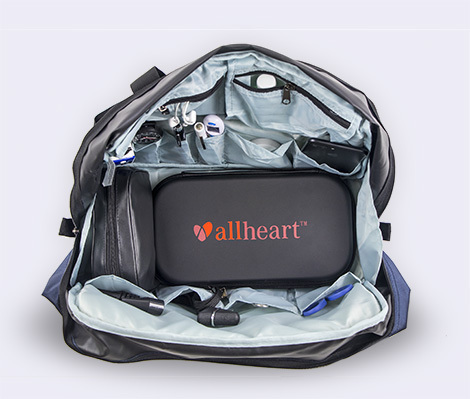 They help you bind wounds, tape IV lines in place, measure heart rates, check blood pressure and perform many other critical tasks that nurses have to complete each shift. 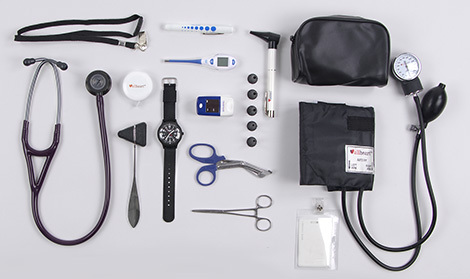 Here are nine everyday nursing supplies that nursing professionals can’t live without. A nurse without a stethoscope is like a painter without a brush: The device is completely integral to the profession itself. The classic stethoscope allows medical professionals to listen to the heart, lungs, bowel and many other body parts for signs of irregularity. But just because you use a stethoscope every day doesn’t mean it has to look basic: You can choose from an array of tubing and metal finish colors and engrave the stethoscope head as well as the tubing on Littmann models with a unique message. If you’re not looking to purchase a new stethoscope, you can always add stethoscope charms to your existing one to give it a pop of personality. Also called sphygmomanometers, blood pressure monitors allow you to measure (you guessed it) blood pressure, which is important because high blood pressure can be a precursor to or symptom of many conditions. Blood pressure monitors also come in several color and print options for the cuff itself and many can be customized with embroidery or emblems to add a bit of personalization and make sure your cuff doesn’t get mixed up with someone else’s. A pulse oximeter is a small device that usually clips onto a fingertip and allows you to measure a patient’s heart rate and blood oxygen levels, though there are also wrist and handheld versions. 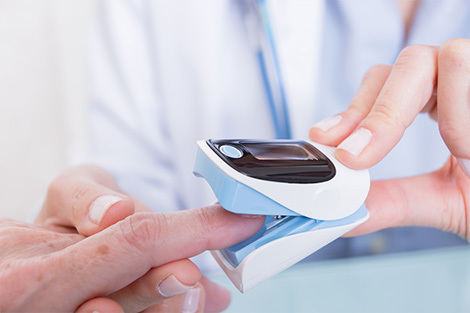 Pulse oximetry is key for almost any condition that affects the body’s blood oxygen levels — such as heart attack, heart failure, sleep apnea, COPD, anemia, lung cancer, asthma and pneumonia — making the pulse oximeter a versatile and helpful device. At some point during your shift, you’ll probably find yourself having to bind a small cut or tape an IV line in place. This is when nursing scissors come in handy, as they can be used to cut medical gauze, dressings, bandages and more. You should also keep medical tape on hand so you don’t have to hunt a roll down every time you need to tape an IV line. A flashlight shaped like a fountain pen, the penlight is an important tool that helps nurses to assess pupil response, examine the mouth and throat and check wound areas. Most penlights come with a handy built-in clip, and their small size makes them easy to carry around in your pocket on shifts so you’re always ready to examine a patient. Thermometers measure a patient’s internal body temperature and indicate whether they have a fever. 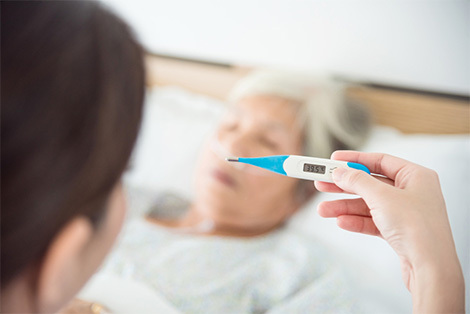 A thermometer can quickly tip you off that a patient might have an infection, illness or another health issue that’s causing the fever, which is why it ranks high on the list of everyday nursing supplies. Just as penlights as used to assess pupils response, reflex hammers are used to test tendon response to make sure there is no damage or abnormality in the nervous system. While the reflex hammer comes in several models, the most widely known version in the U.S. is the lightweight Taylor hammer, which comes with a distinctive triangular rubber head attached to a metal handle. 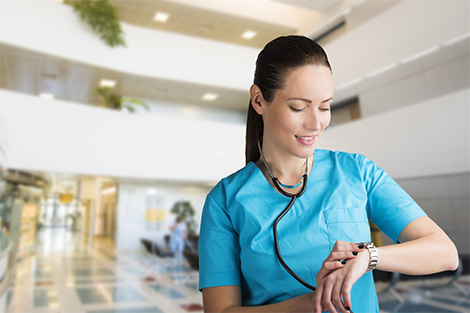 While it may seem old-fashioned to non-medical professionals as compared to smartphones, wristwatches aren’t so much an everyday tool as they are an every-minute necessity for nurses. Many hospitals and other facilities ban phones while on duty, so if you want to know what time it is, you’ll need to wear a watch. Look for a lightweight, water-resistant model that will be comfortable to wear and repel any fluids that might get on it. A tourniquet is a tight bandage or cord used to stop the flow of blood through a vein or artery, and it is usually employed during a blood draw or (worst case scenario) when a severe injury is causing a lot of blood loss. The design may be simple, but it’s a very handy supply. Whether you’re a nursing student or a seasoned nurse practitioner, these nine everyday nursing supplies are key tools to keep on hand during every shift. If you’re looking to build your nursing supply collection, this list is a great place to start.